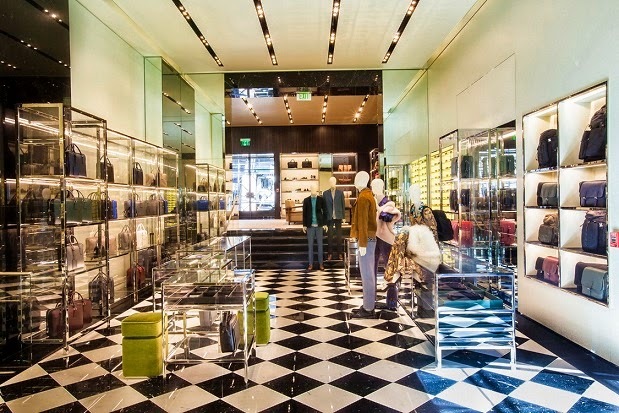 PRADA renews its historic store in Post Street, San Francisco recently. 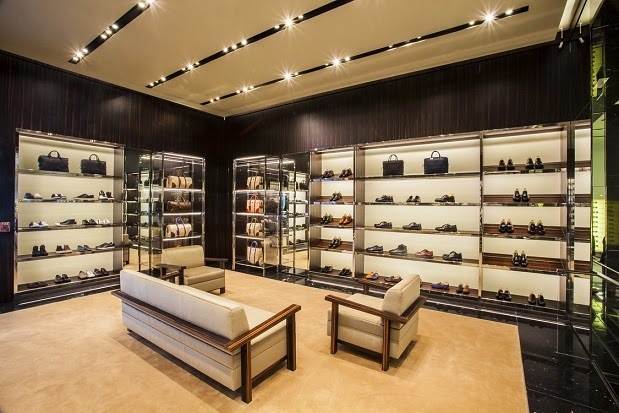 The shop, designed by architect Roberto Baciocchi, occupies a total surface of about 600 square metres on a single level, and it offers the women's and men's ready-to-wear, leather goods, accessories and footwear collections. The outer façade, composed of three entrances and ten windows, blends harmoniously with the geometry of the historical building which hosts the store. Tall ceilings enhance the inside environment, which is punctuated by double-height black marble and mirror columns. 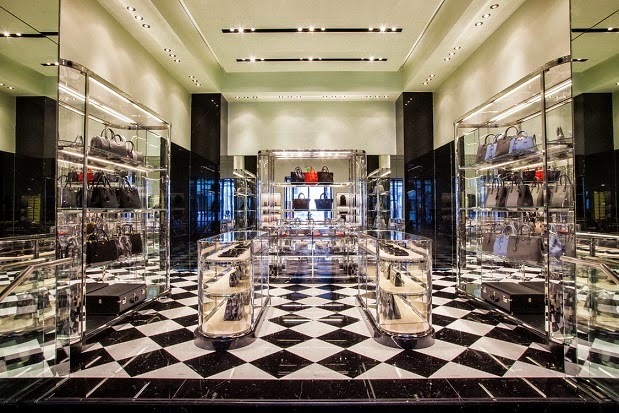 The area offering women's and men's leather goods and accessories is characterised by the typical materials defining Prada's historic brand identity: black and white marble chequered floor, walls covered in mirrors or green fabric, velvet seats and black marble portals. The environment is completed by sophisticated crystal furniture. 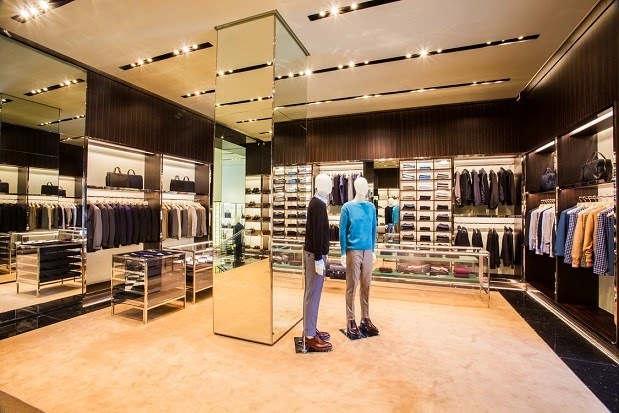 At the Grant Avenue entrance, an area is dedicated to displaying precious leather goods, enhanced by crystal counters with coloured saffiano leather details. Circular crystal tables and sofas covered in green velvet stand out in the area offering women's ready-to-wear and footwear collections. The area dedicated to men's collections is located near the Post Street entrance. The strong character of materials chosen highlights this environment's masculine attitude: ebony wood, polished steel, black saffiano leather and castorino-coloured velvet for the seats.